• Advocate to protect our common home. 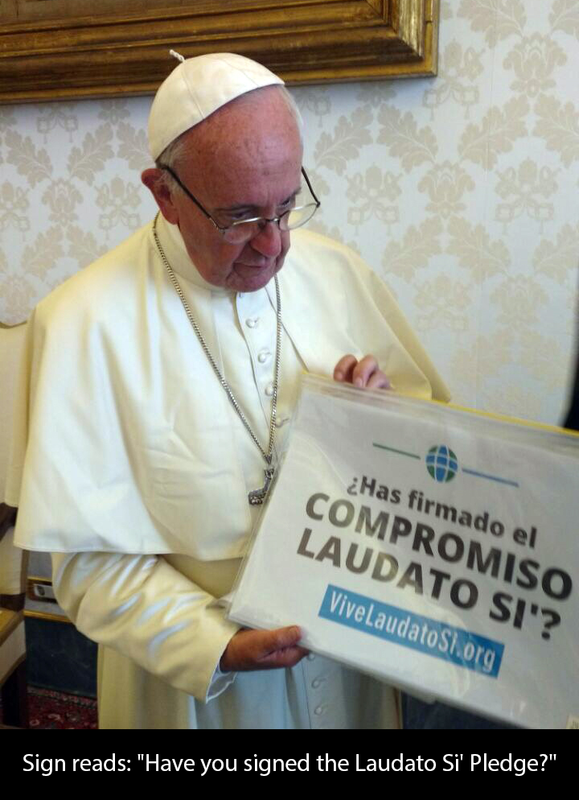 Laudato Si’ is Pope Francis’ historic encyclical on care for creation and our common home. It challenges us to “hear the cry of the earth and the cry of the poor” through ecological conversion, changes in lifestyle and society, and strong political action. The Laudato Si’ Pledge is a worldwide campaign by the Global Catholic Climate Movement (GCCM) and its member organizations to raise awareness of the Laudato Si’ message and to encourage the Catholic community to take action with the urgency required by the climate crisis. Sign the pledge to receive resources on how to #LiveLaudatoSi and to connect to a global movement coming together to care for our common home.